I’m almost positive you’re thinking to yourself, what the heck? 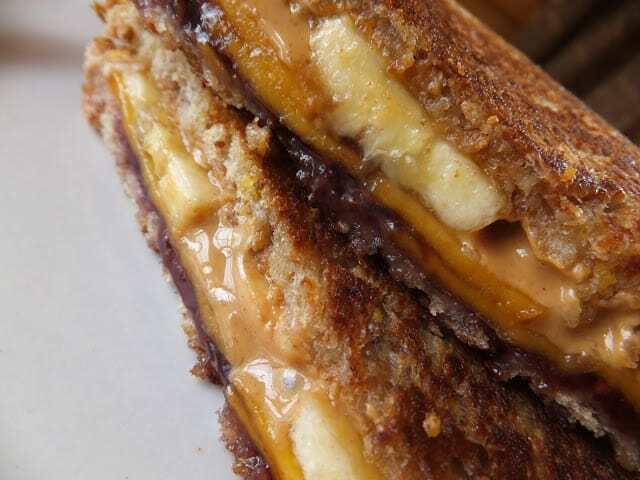 Why would anyone in their right mind want to eat a pbj banana grilled cheese sandwich. Right? Because it’s good, that’s why!! I’m a sucker for pbj sandwiches. In fact, I love peanut butter, and I eat it whenever possible. My favorite way to eat peanut butter is on graham crackers dunked in milk. Oh boy!! Love it! Similar to a Fat Elvis only with the addition of cheese and jelly. Butter one side of the bread. Spread the other side with peanut butter and jelly. Lay banana slices on top of peanut butter then top with cheese. Fry sandwiches buttered side down in pan heated over medium heat. Cook until golden brown and cheese is melted. Like sandwiches? So do we! Ultimate Chicken Sandwiches, Ham Salad Sandwich and Turkey Monte Cristo. G'day! Great combination and photo! YUM! I would never have thought to put those things together, but I bet my boys would love it! No doubt, I would love this too. All those yummy flavors together and crunchy crust! YUMMM! Thanks so much for sharing at Weekend Potluck. 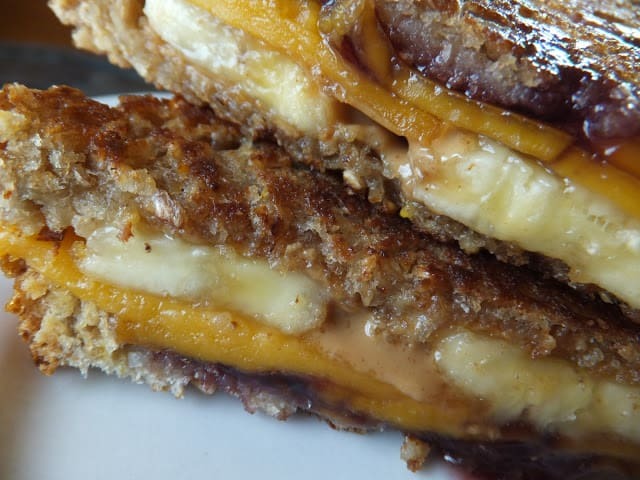 This weekend I had a PB andJ grilled cheese from The Melt Shop in NYC and it was fantastic! I'm sure banana makes it even butter, yum! Could I have one of those minus the banana please, Lynn? however I will see what my grandboys might think. Good Morning Lynn, Firstly, good luck with the competition, if your photographs are anything to go by, you should win hands down! This sandwich looks lovely, but to my English palette the combination of foods is unusual. 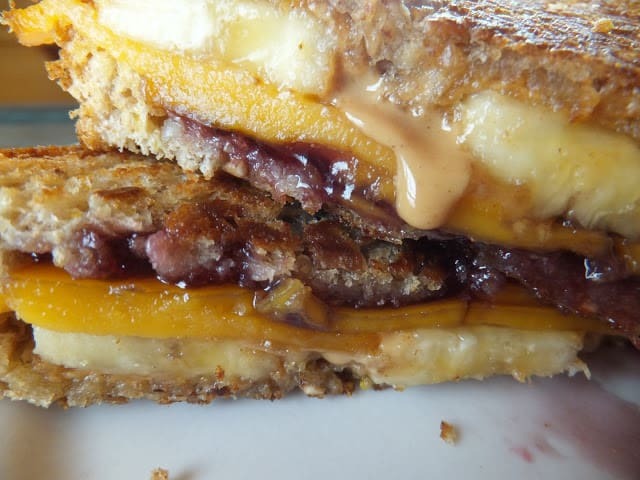 I have tried the combination of peanut butter and jelly and loved it, which I was surprised at, but the sweet and savoury flavour was fabulous. So the next step in my education is to try your sandwich. I know I will enjoy it as I love each item that you have listed. I always find it fun trying recipes from a round the world.